There has been a fairly constant and consistent interest over the past few years in the ideas of unlearning, to unlearn and how to unlearn in both the popular and research literature. The idea of unlearning has firmly entered the organisational development rhetoric as well as that of individual human learning. But what is it and what does the latest research evidence actually say about it? 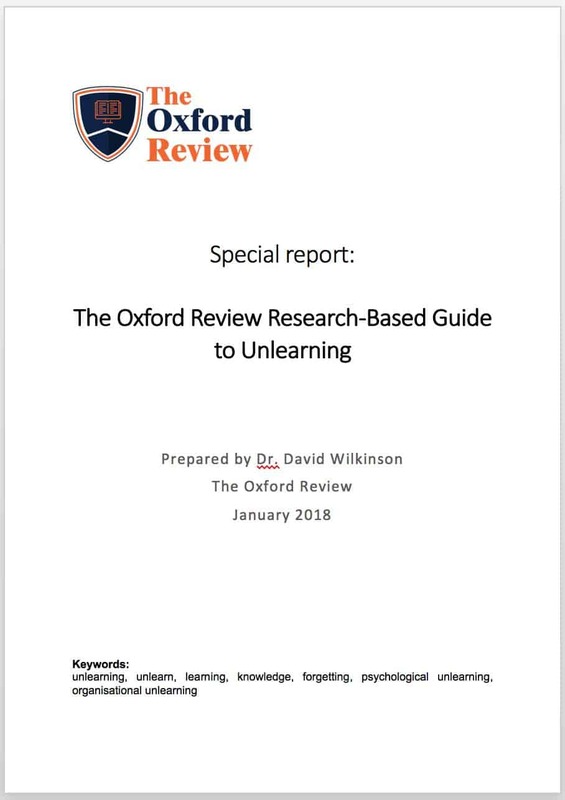 This 14 page special report looks at the very latest research evidence for unlearning.